Burnout 2: Point of Impact -- Developers Cut (Microsoft Xbox, 2003) - COMPLETE! Burnout 2 Point of Impact Developer?s Cut Xbox EX+NM condition COMPLETE! 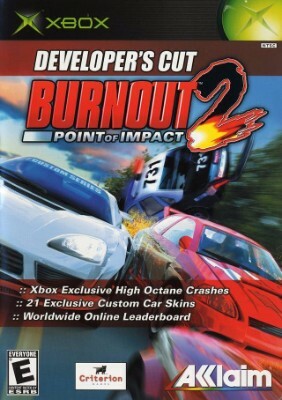 Burnout 2: Point of Impact - Developers Cut (Microsoft Xbox Game, 2003) CIB !